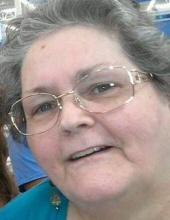 Julia Ann Pellegrin Wickham, age 70 of Lincolnton, passed away, Friday, April 12, 2019 at Carolina Caring in Newton. Born January 17, 1949 in Bergen County, New Jersey, she was the daughter of the late Sperandio and Catherine Bowen Pellegrin. A memorial service will be held, Thursday, April 18, 2019 at 6:00 PM at Burke Mortuary Chapel in Maiden with Rev. Jeremy Smathers officiating. Burke Mortuary in Maiden is serving the Wickham Family. To send flowers or a remembrance gift to the family of Julia Pellegrin Wickham, please visit our Tribute Store. "Email Address" would like to share the life celebration of Julia Pellegrin Wickham. Click on the "link" to go to share a favorite memory or leave a condolence message for the family.